Now a group of UC Santa Barbara staff members has acquired new skills and tools to help the university thrive. The 16 employees from 11 departments have earned their Lean Six Sigma green belt certifications. The program teaches techniques for improving processes and reducing inefficiencies. 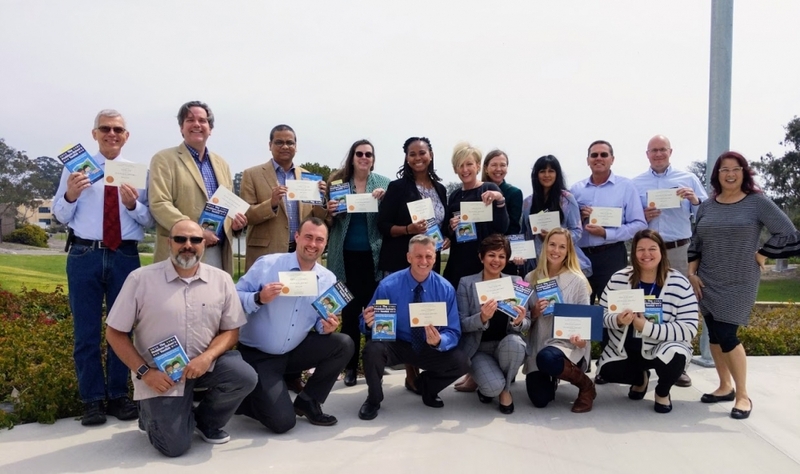 “The participants in this year’s Lean Six Sigma training represent the talented staff we have at UC Santa Barbara,” added Garry Mac Pherson, vice chancellor for administrative services, who with Hall helped organize the training. The lean movement began in post-WWII Japan at Toyota as an effort to eliminate waste and maximize output. In the 1980s, Motorola developed the Six Sigma program, which focuses on reducing defects and minimizing process variation. Since then, diverse industries have adopted and combined the complementary approaches, now called Lean Six Sigma. Several organizations offer training in the methodology, and the green belt is the third of five levels of certification. The certification involved five days of courses with supplemental online work that took place from December to March. The program culminated in a test and a project that required participants to put the Lean Six Sigma ideas into practice. One team tackled the task of streamlining the retrieval process for impounded bikes. Pam Gebhardt at the UC Police Department noticed students were becoming increasingly frustrated by the time it took for them to retrieve their bikes from impound. Impounding is handled by community service officers (CSOs), students who serve as liaisons between the police department and the student body. The CSOs said they often didn’t fully log incoming bikes, so had to finish this step during the retrieval process, which added time. The problem seemed obvious, but the Lean Six Sigma mentality requires you to step back and assess the issue methodically to find the root cause, said Lofthus. And when she and Gebhardt looked at the data, they found that most of the CSOs’ time actually went into searching for bikes in the crowded lots, especially when the bikes were over at the Devereux campus. The team found other inefficiencies as well. For instance, they noticed the printer the CSOs used was in another building. Adding a printer next to the desk could shave 3-4 minutes off each retrieval. In their final report, Gebhardt and Lofthus proposed organizing the impound lots, keeping newly impounded cycles on campus, adding a printer and streamlining the paperwork. Together, they predict these improvements could slash retrieval time by some 35 minutes. The UCPD has already begun implementing these changes, with a goal of finishing the overhaul by the end of May.